I’ve blogged before about bird singing areas when I visited the Kebun Baru Bird Singing Club in Ang Mo Kio, and since then I’ve noticed a couple of other smaller bird singing areas around Singapore. 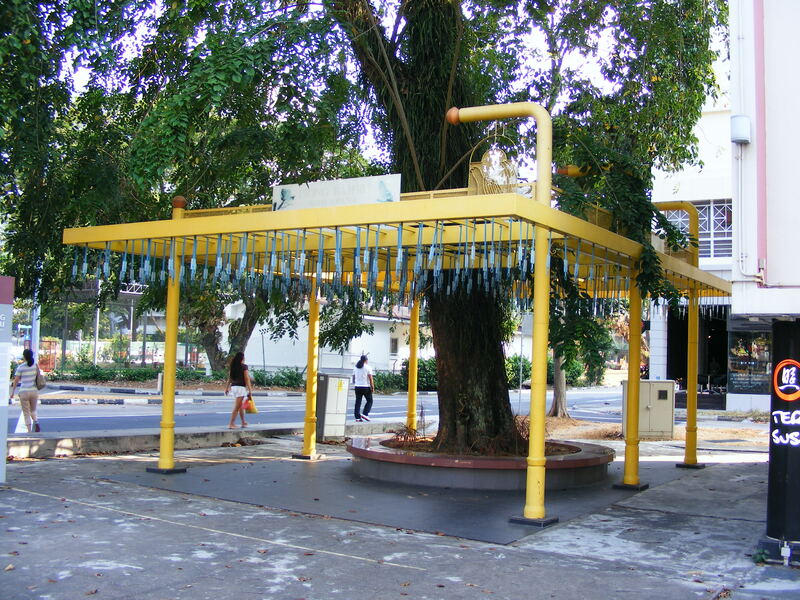 I’m currently completing a university assignment on Tiong Bahru and was struck by the bird singing corner on the corner of Tiong Bahru Road and Seng Poh Road. What struck me was the EMPTINESS of the corner. Not a bird in sight on any of the times I’ve been down that way. 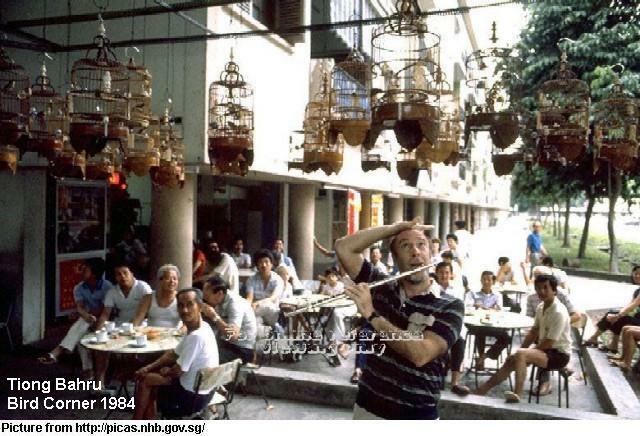 According to the Tiong Bahru Heritage Trail the history of the bird corner goes back to the early 80s when the owner of the coffee shop on the corner noticed the crowds that gathered to hear the birds at the pet shop across the road and built a structure outside his shop to attract business. It didn’t take long for the bird corner to become a popular spot for both locals and tourists. Sadly, the building that house the coffee shop was ‘redeveloped’ in 2003 and the bird corner was also demolished. Although the owners of the hotel that now stands on the site reopened the bird corner in 2008 the bird owners have never returned, and the bird corner stands empty and forlorn. This entry was posted in Singapore Heritage by KJ. Bookmark the permalink. Interesting but a little sad too. I wonder if the space should be used for hanging art/ sculpture exhibits if the birds won’t be back?